Joe Goode is a choreographer, writer, and director widely known as an innovator in the field of dance for his willingness to collide movement with spoken word, song, and visual imagery. He was awarded a John Simon Guggenheim Fellowship in 2007, and the United States Artists Glover Fellowship in 2008. In 2006 Goode directed the opera Transformations for the San Francisco Opera Center. His play Body Familiar, commissioned by the Magic Theatre in 2003, was met with critical acclaim. The Joe Goode Performance Group, formed in 1986, tours regularly throughout the U.S., and has toured internationally to Canada, Europe, South America, Africa, and the Middle East. Goode is known as a master teacher; his summer workshops in “felt performance” attract participants from around the world, and the company’s teaching residencies on tour are hugely popular. He is a member of the faculty of the University of California, Berkeley in the department of Theater, Dance and Performance Studies. Goode’s performance-installation works have been commissioned by the Fowler Museum of Natural History in Los Angeles, Krannert Art Museum, the Capp Street Project, the M.H. de Young Museum, and Yerba Buena Center for the Arts. His dance theater work has been commissioned by Pennsylvania Ballet, Zenon Dance Company, AXIS Dance Company and Dance Alloy Theater among others. 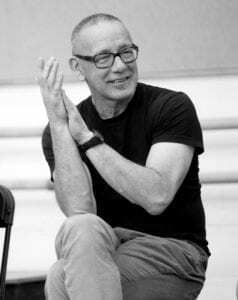 Goode and his work have been recognized by numerous awards for excellence including the American Council on the Arts, the New York Dance and Performance Award (Bessie), and Isadora Duncan Dance Awards (Izzies). Andrew Ward is a Bay Area native. He grew up competing in gymnastics and baseball. He began dancing in the vibrant and supportive Berkeley High School modern dance program. Upon graduating from Berkeley High, he attended UC Berkeley, where he continued studying and performing modern dance while earning a degree in Peace and Conflict Studies. After graduating in 2007, Ward joined the Joe Goode Performance Group as a company member. Most recently, Ward co-founded Fog Beast, a dance based performing arts company, that performs, teaches, and choreographs on the Bay Area. Damara Vita Ganley is a Bay Area dance artist. She is grateful to have worked with the Joe Goode Performance Group since 2009. She loves sharing movement with others and is the Director of Dance at Kirby College Preparatory School, serves as JGPG’s Education Coordinator and enjoys teaching dance for people with Parkinsons. She graduated from UC Santa Cruz with degrees in Anthropology, Womens Studies, and Theater Arts. 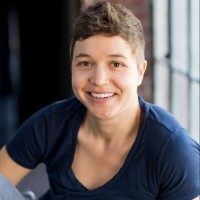 She has also had the opportunity to work with Bandaloop, Fog Beast, EmSpace Dance, Jo Kreiter/FlyAway Productions, Lisa Townsend, Nancy Karp, Shift Physical Theatre and RJ Muna. Felipe Barrueto-Cabello is a native of Chile and grew up in the Bay Area. He received a degree in Mathematics from Cornell University. Felipe has performed with Joe Goode Performance Group since 1996 and currently serves as Rehearsal Director. 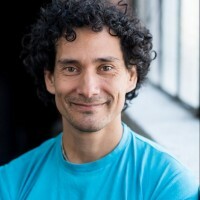 He teaches JGPG Technique Class regularly at the Joe Goode Annex, and has taught at Mills College and UC Berkeley in the department of Theater, Dance, and Performance Studies. James Graham is an SF based choreographer, performer, and teacher. In 2017 he received an IZZIE for Ensemble Performance (with Sebastian Grubb) for Grahams “Homeroom.” In 2015 he received an IZZIE for Individual Performance (for his Full Season). He started his company, James Graham Dance Theatre, in 2010 to present original dancetheatre work that deals with universal experiences in order to provide a space for audiences to understand themselves and others in new ways. Graham produces DANCE LOVERS, an annual event of duets around Valentine’s Day. Graham is a Certified Gaga Instructor (Ohad Naharin/Batsheva) and took part in Naharins pilot training program of international Gaga teachers. He has taught Gaga extensively in the U.S., as well as in Canada, France, South Korea, Germany, Sweden, Thailand, and Israel. He is currently on faculty at UC Berkeley and Dominican University/LINES BFA Program. Graham holds an M.F.A. in Dance from The Ohio State University and a B.A. in Theatre, Dance, and Performance Studies from UC Berkeley. In addition to JGPG, he performers with Lisa Wymore & Sheldon Smith. 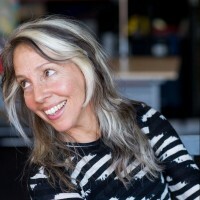 Marit Brook-Kothlow joined Joe Goode Performance Group in 1990. She collaborated and performed with the company for 17 years, during which she was nominated for an Izzy Award for her role in JGPGs Hometown. She has also danced with Tandy Beal & Company and collaborated musically with composers Erik Ian Walker, Beth Custer and Mikel Rouse. Her dance video projects have been collaborations with Kathleen Hermesdorf, Robert Arnold and RJ Muna. After an extended hiatus, Marit is happy to be back dancing with the company again. She teaches workshops and dance classes in the Bay Area and currently lives in Berkeley, CA with her husband and 9 year old daughter. Melecio Estrella is a Choreographer, Performer and Teacher based in the San Francisco Bay Area. He has been a member of Joe Goode Performance Group since 2004. Additionally he is Co-Artistic Director of Fog Beast and the Associate Artistic Director of BANDALOOP. Estrella has led BANDALOOP in performances in Asia and the US, directing site specific vertical dance for live audiences of thousands. Melecio has also performed with the San Francisco Opera, Scott Wells and Dancers, Faye Driscoll among others. Melecio has been engaged as a choreographer for the San Francisco Opera Center’s esteemed Merola program. 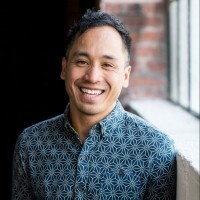 Along with his extensive experience as a creator and performer of Dance Theater and Vertical Dance, Melecio brings a breadth of knowledge on community engagement and education in the live arts. Molly Katzman started dancing in middle school at Nevada City School of the Arts and then danced all through high school in the Nevada Union Theatrical Dance program. She attended Cabrillo College where she won the Roberta Bristol award for dance in 2009, then went on to earn her B.A. at UCSC. 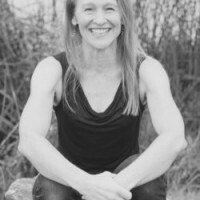 While living in Santa Cruz, she has danced for choreographers such as Cid Pearlman, Cat Willis, Dixie Shulman, Gerald Casel and is a member of FLEX dance company. Molly and Sierrah Dietz, who started their own company, HOMEbodies, debuted their first show in April 2012, presented their second show in 2013, and entered the New Orleans Fringe Festival in 2014 where they were nominated for the award, Outstanding Choreography (New Work). Molly currently teaches in Santa Cruz at Motion Pacific. Patricia West is an Oakland based dancer, choreographer, and elementary school teacher. She earned a B.A. in English, Dance, and Education at U.C. Berkeley and an M.A. in Education at San Jose State University. Patricia has worked and performed with Bay Area Repertory Dance, Capacitor, Levy Dance, Lorraine Hansberry Theater, Robert Moses KIN, The Alayo Dance Company, and Zaccho Dance Theater. Patricia is currently one of the Education Coordinators for JGPG and has been a member since 2006. Liz Burritt is an original member of Joe Goode Performance Group and has been an instrumental collaborator in the making of over 30 original works. She has been featured in many pieces including The Ascension of Big Linda into the Skies of Montana, Disaster Series, Remembering the Pool at the Best Western, Maverick Strain, and What the Body Knows. She is the recipient of an Isadora Duncan Dance Award for Individual Performance. Liz was a faculty member in the Dance Department of Columbia College Chicago for ten years. She teaches technique, voice and performance workshops for dancers and actors around the country. She is currently residing in Denver, Colorado teaching at Denver School of the Arts. She is extremely grateful for her twenty-one fulfilling, transformative years creating and performing with the family of the Joe Goode Performance Group. Adriana Marcial, Executive Director, joined JGPG in 2011 as Development Manager, and then Executive Director in 2015. With an extensive background in dance, both as a dancer and in arts management, Marcial supports JGPGs artistic work, leads programs to engage with wider dance audiences, including the development of the Joe Goode Annex to serve as an affordable/accessible dance space in the Bay Area. Marcial was a 2013-14 Emerging Arts Professionals/SFBA Fellow where she focused on regenerative arts practices and co-lead the creation of a community driven funding model. She served as Marketing Director for Mordine & Co. Dance Theater in Chicago, worked at Carol Fox & Associates providing marketing services to performing arts organizations, and worked with Chicago Dancemakers Forum to provide cash grants to local dance makers. Marcial holds a BA in dance and communication studies from Northwestern University. Grisel GG Torres is from the Bay Area by way of migrant parents from Guanajuato, México. GG studied Light Design, Technical Theatre, Stage Management, and Props Design at SFSU’s School of Theatre and Dance. In August of 2018, GG happily became the Venue Manager at the Joe Goode Annex. She is also the Staff Production Manager for Golden Thread Productions, the first American Theatre Company devoted to stories of the Middle East. She primarily designs lights for movement based productions and companies such as PUSH Dance Company, Keith Hennessy/CircoZero, Sara Shelton Mann/Mixed Bag Productions, and foolsFURY Theater Company. When not in production mode, GG likes to write melodies, paint, and create movement based performance art herself and sees these art forms as a vantage point for self-healing. She is extremely grateful to have a hand in making some of the Bay Area’s best radical art. Amys first experience with the Joe Goode Performance Group was as a participant in the Embodied Leader workshop. Joes invitation to participants to explore and unveil the meaning of the movement experience for themselves, rather than to unpack and explain it for them drew her in. As a consultant, Amy provided information, analysis, and insights to philanthropic foundations. She has assisted foundations striving to create change around a wide range of issues including international intellectual property rights, digital media and children, food security, human rights, citizen journalism, healthcare technology, living wages, broadband access, youth development, economic justice, and community philanthropy. Amy holds a Masters degree from Harvard University and a B.A. from Indiana University. She is delighted to have the chance to share her professional expertise and personal passion for the arts, especially dance, with JGPG. Bobbie Fisch is a Principal at TEF Architecture + Interior Design. Her focus is large-scale interior design projects, including libraries for the City of San Francisco, offices for local and regional agencies and medical clinics for UCSF and Stanford. She is excited to return to the Board in her second term and is proud to have been part of the realization of the Joe Goode Annex. A former dancer and long time dance aficionado, she is always delighted and inspired by Joe’s choreography and awed by the beauty and strength of the dancers. One of her favorite memories is of sitting under a blanket outside in the courtyard of the Old Mint, watching Traveling Light. Bobbie’s husband, Bill Johnston, is a furniture executive and a long time supporter and fan. Chris comes to the board as a long-term fan of the JGPG. Chris has attended many of the group’s performances over the last 15 years and has also participated in Joe’sStart Simpleworkshop as well as theMovement for Humansseries. 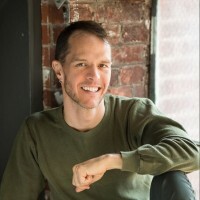 Chris is a believer in the transformative nature of Joe’s work and practices many of the principles of JGPG in his work as VP for Staff Development and Culture at HopeLab, creating a narrative for HopeLab’s culture that includes the nurturing of connection, compassion, improvisation, storytelling, and play. In addition to his creative work at HopeLab, Chris brings 16 years of board member experience to JGPG, having supported the missions of the San Francisco AIDS Foundation, Child-Flower (a Belgium NGO dedicated to the wellbeing and resilience of children facing vulnerable situations), and the Earlham College Alumni Association. Chris is also an avid baker, bricoleur, personal writer, dancer, and lover of tea and cafe conversation. Diana Sunshine has over 20 years experience in senior positions at performing arts and volunteers organizations. She is currently the Director of Marketing and Communications at Stanford Pre-Collegiate Studies. Prior to that, Diana was the Director of Marketing at San Francisco Opera and has also worked for AT Kearney, Jacob’s Pillow, Paul Taylor Dance Company, Ballet Pacifica and the Orange County Performing Arts Center. In addition to JGPG, she volunteers for the Castilleja School, Las Lomitas Elementary School District, Students Matter, Peninsula Skating Club and Planned Parenthood Mar Monte. Diana has an MBA in Arts Management from The Anderson School at UCLA. Diana is married to Bill Onderdonk and lives in Portola Valley with her two daughters, Zoe and Hannah, and their adorably large dog, Pi. One of the first performances Jennine saw after coming to San Francisco in 1989 was a show by the Joe Goode Performance Group. Astonished and moved by the experience, she has been a fan of the company ever since. In her professional life, Jennine is an executive coach for leaders in tech, finance, and the sciences, and brings decades of hand-on business experience to her coaching and board work. 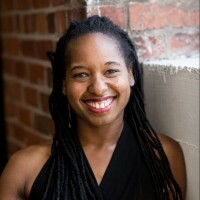 Before launching her coaching practice, Jennine was a business operations executive and co-founder of CourseNet Systems, a software company that developed web-based training tools for higher education and Fortune 500 companies. She is a graduate of Brown University and a member of the Forbes Coaches Council. Jennine is an avid Mt Tam hiker, loves to dance, and lives in San Francisco with her husband and an oversized Bengal cat. MaryAnn Walter McDonald served as the Managing Director of Walter McDonald & Associates, LLC, a firm that she founded. The firm was dedicated to providing senior level executive search and executive coaching across business functions in all sectors. MaryAnn brings over 30 years of business experience to her clients, garnered from both management experience and her 20 years as an executive search consultant and coach. Prior to founding Walter McDonald & Associates, MaryAnn served as a consultant in the San Francisco office of Spencer Stuart, the countrys third largest search firm. Before joining Spencer Stuart in 1994, MaryAnn co-founded Emmott-Walter and Associates (later known as Health Direction), a consulting and executive search firm focused on the healthcare industry. MaryAnn holds an undergraduate degree from Duquesne University and a Masters degree from the University of Pittsburgh. She is married and lives in Redwood City, California. Sarah Savage is an Educational Consultant who taught middle school English for 9 years. She now specializes in training teachers and school administrators in data analysis to inform curricular decisions. This is her first time serving on a board of directors, but Sarah is no stranger to non-profit organizations, having spent 6 years as a triathlon coach, training captain, and mentor for the Leukemia and Lymphoma Society’s Team in Training. Sarah comes from a theater arts and modern dance background and has been a fan of Joe Goode since college, when she took his summer dance intensive at the tender age of 19. She is thrilled to have the opportunity to support Joe’s artistic and philosophical vision in a new capacity.